My friend Lisa had a brilliant idea…“Let’s go to Wanderlust!” Saturday mornings, we usually meet for ballet class. 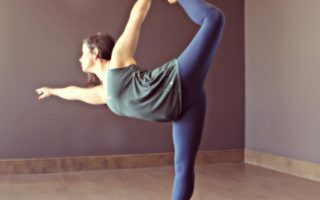 The connection between dance and yoga is especially strong with us. 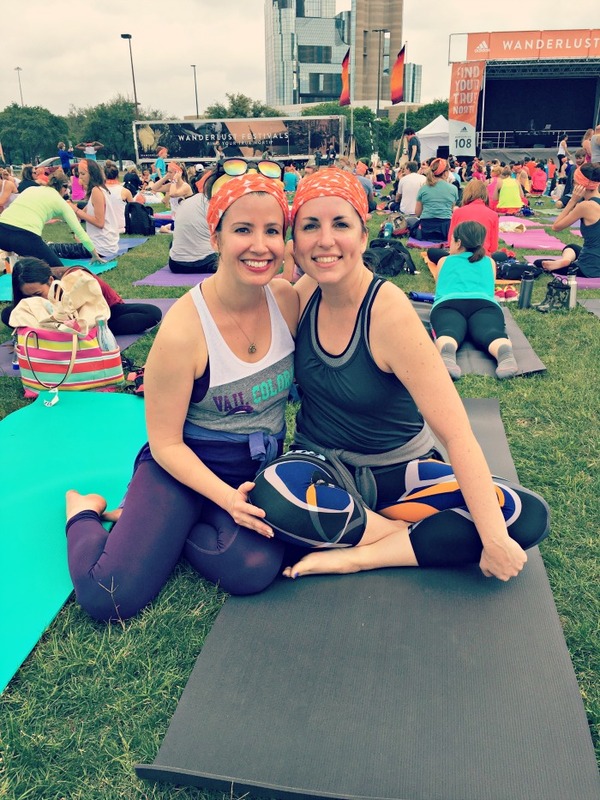 We took our ballet training to the lawn at Reunion to try out dance yoga to MC Yogi, yoga slackers, and to practice yoga and drink Kombucha tea outside in Dallas. 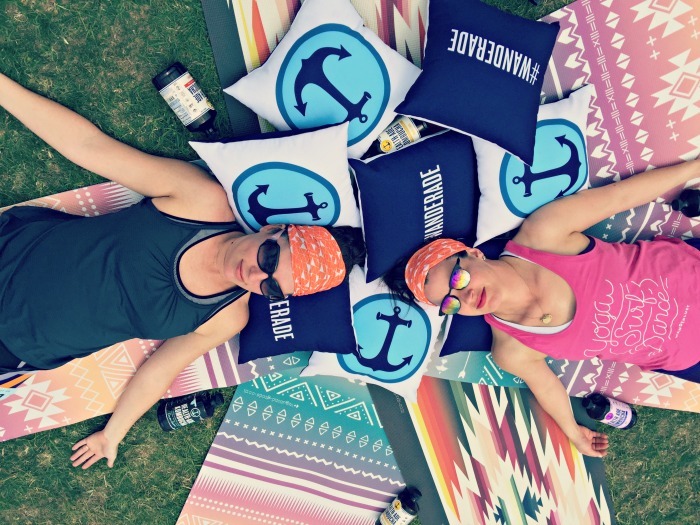 The yoga dance party reminded me of Edge Fest in the 90’s…waving our hands from side to side in Crescent Lunge like we were at a concert while emcee spun his 90’s mix saying, “Only love is real.” Lisa and I were laughing and snapping our fingers in sync. The stunning Faith Hunter led a very happy yoga crowd (imagine the largest yoga class ever) through a high energy yoga flow. 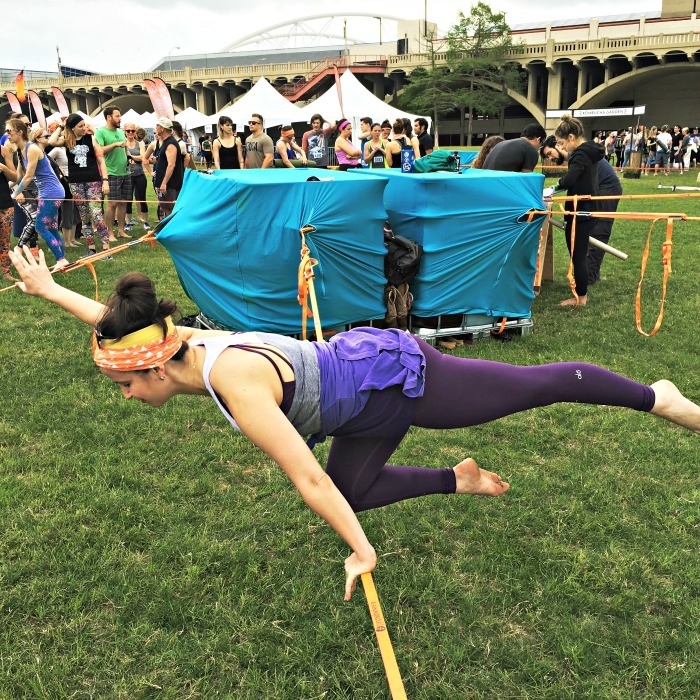 The favorite event at Wanderlust had to be Slacklining. It was exhilarating, challenging and humbling. I think Lisa and I thought we might have an edge being ballet dancers but instead of going straight up to find your balance, it’s better to take yourself off your balance and then find it. 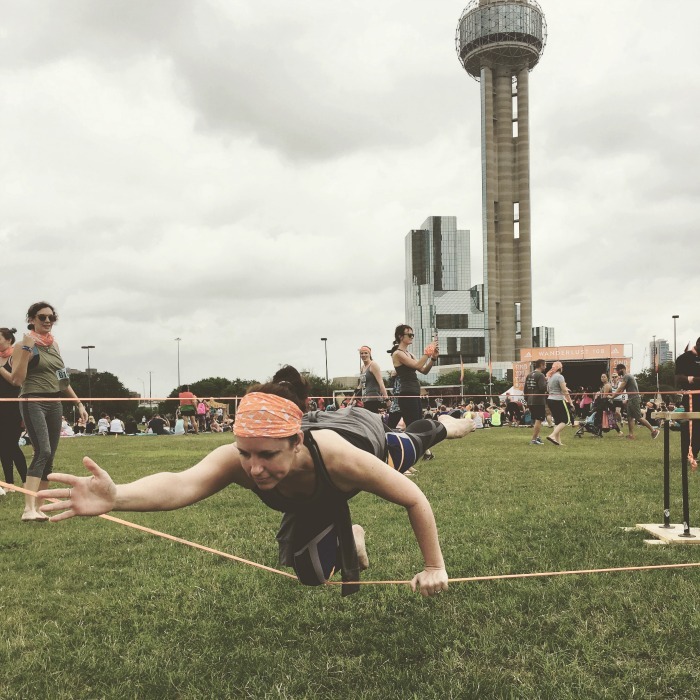 It’s a great way to access those balancing muscles that we don’t use on a daily basis. 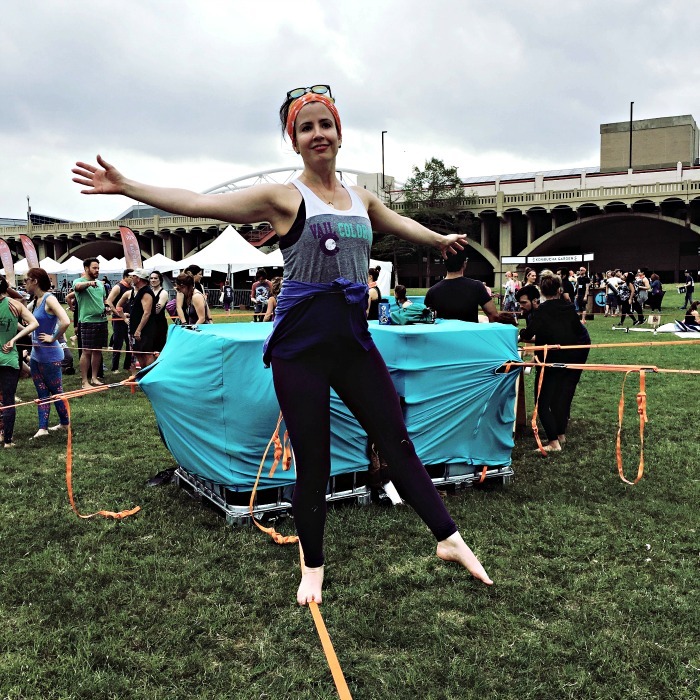 Slacklining could become one of those addicting hobbies. I’d like to put a line in my backyard and just play outside…my kids would love it too. If you live in any of the areas Wanderlust 108, find a friend and sign up. I can’t wait to go again. There’s something so freeing about practicing yoga outside. Find your true north at Wanderlust and unplug from the ordinary. 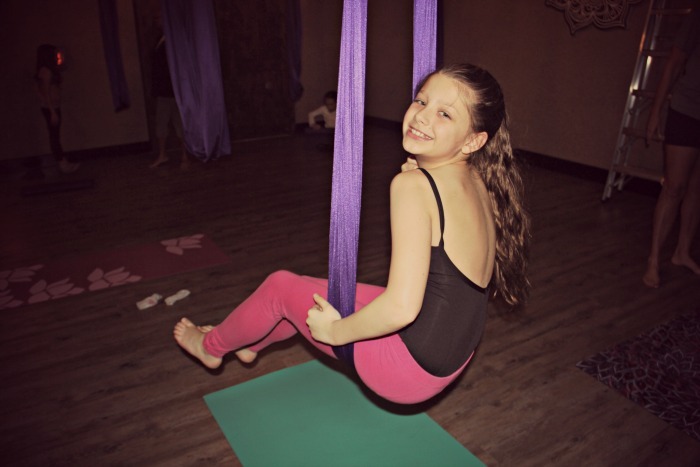 Kids LOVE to hang upside-down on the monkey bars…aerial yoga for kids just makes sense. My daughter and I have danced on stage together, practiced Pilates and paddleboard yoga together and now we share a love for aerial yoga. Remember that feeling you had when you were a kid swinging on the playground at recess? 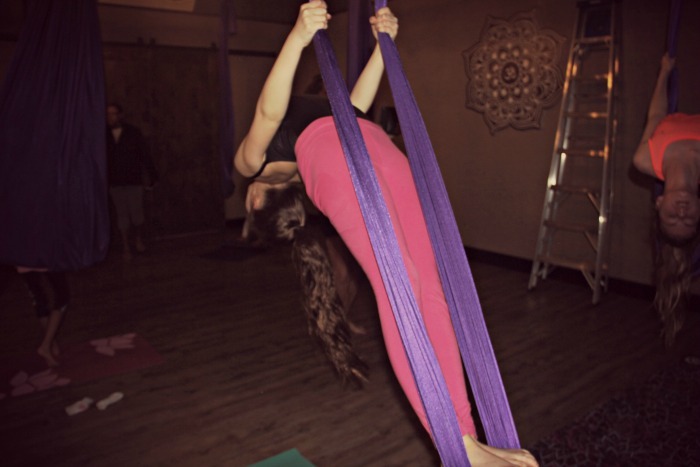 Aerial yoga provides that same sense of lightness with the support of the fabric…think anti-gravity AND anti-aging! 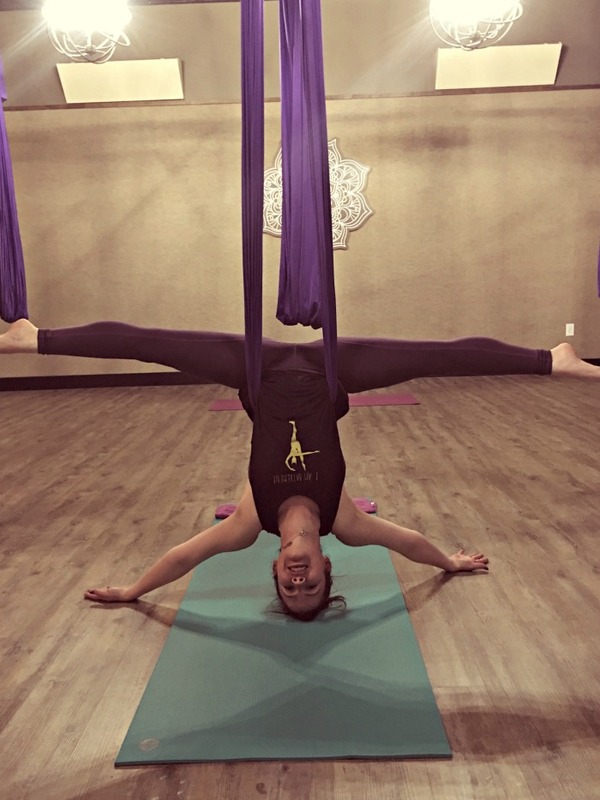 When the fabric is wrapped around the hips to support the body, tipping upside down feels incredibly natural…spreading the arms out like an eagle, reaching the legs out to the sides of the wall and letting go of any pressure in the lower back is an amazing sensation! Imagine Cirque du Soleil–style yoga. Sloane has the class start out with the hammock at your hip crease and fold forward into down dog. I could feel a release in the front of my hip joints and found a natural alignment adjustment as I folded deeper in the hammock…gravity does the work and it feels soooo good. Yoga is wonderful for every (adult and child) body. 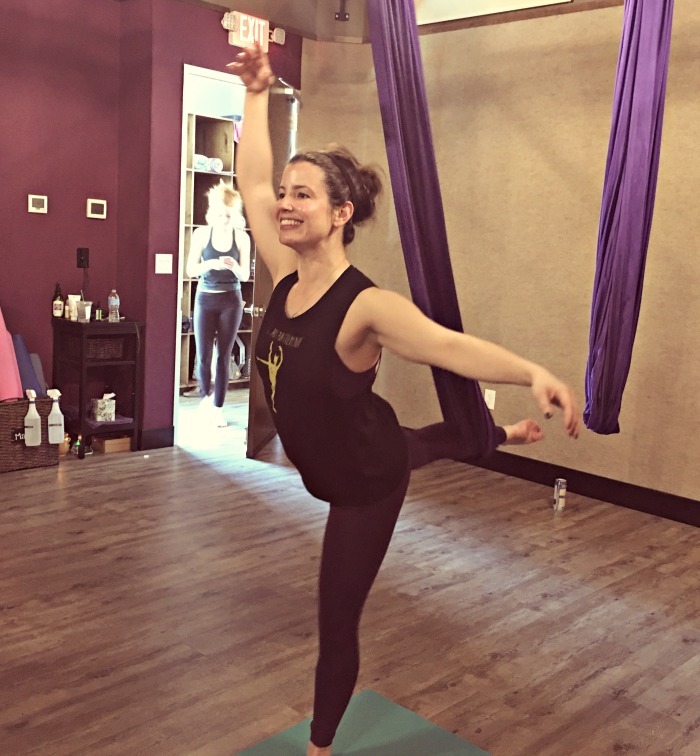 Aerial yoga is a way to explore new and traditional yoga with your body weight partially or fully supported. This allows you to expand flexibility, increase range of motion, build strength, lengthen and decompress the spine as you relax the nervous system. Letting gravity take over while being held in a hammock can deepen yoga poses and allow you to safely invert. It’s a fun way to find some zen and feel young again while flying. 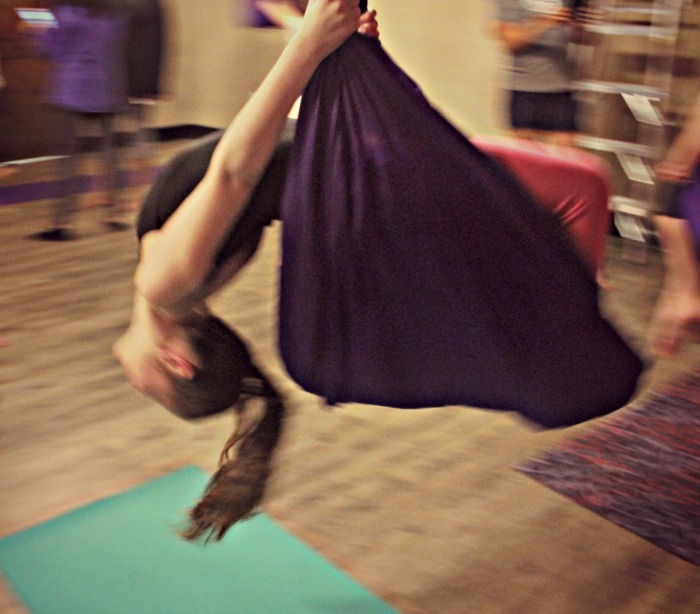 My daughter said that aerial yoga was fun but also hard. I like that she was laughing when she was being challenged. This tells me that she’s working on coordination and strength while building her confidence and mental concentration. Try it and you will find a sense of peace, playfulness, creativity and empowerment to thrive on and off the mat. 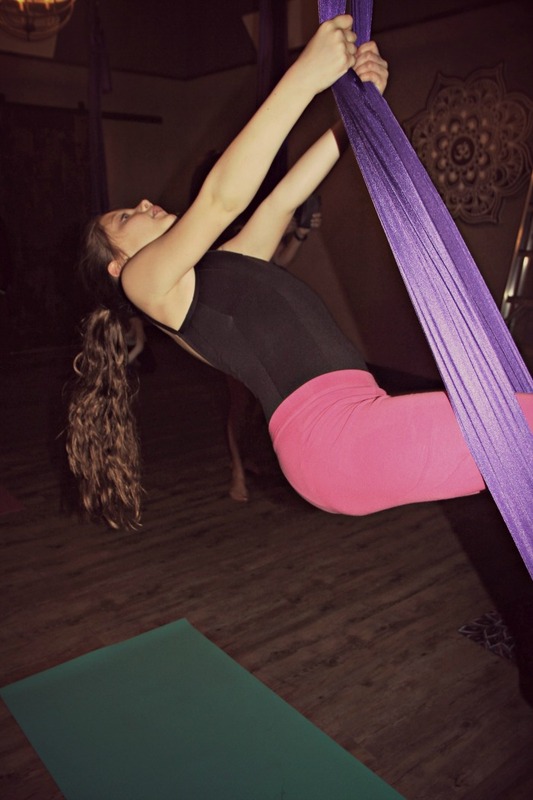 Aerial yoga is a way to dream and imagine you are an aerial acrobat feeling free and enjoying life even more. 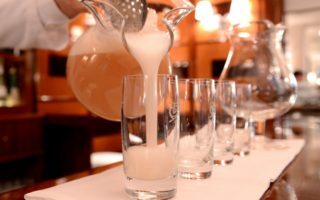 Sunshine, google tans, spring back to winter snow, cold après-ski cocktails on or off the mountain…the only thing not to love about spring skiing is the inevitable end of the season. 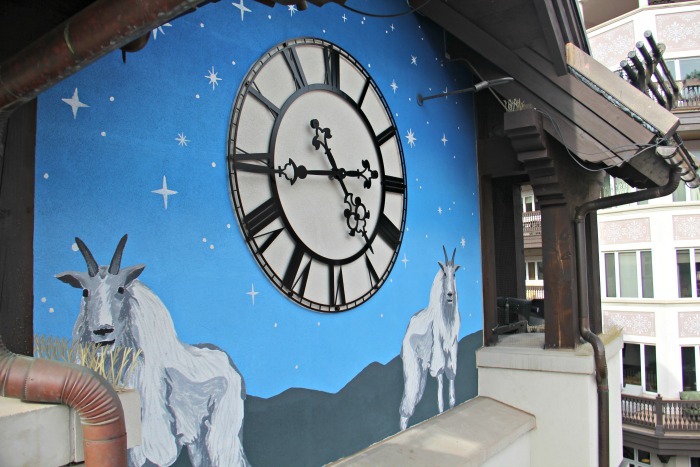 The clock bells chimed four times, that meant the lifts were closing. My husband said, “Hurry, we can still get on for one more run.” We weren’t out of steam just yet! 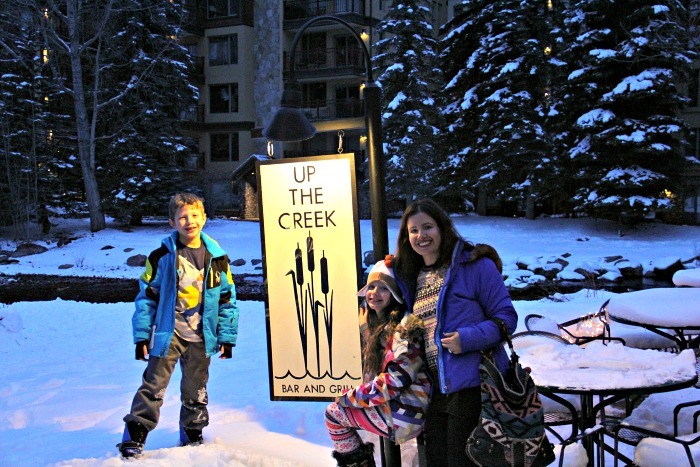 The four of us hopped on the Eagle Bahn Gondola to end the day on a high note. If the lifts are running, so were we! It felt like we were the only ones on the mountain. 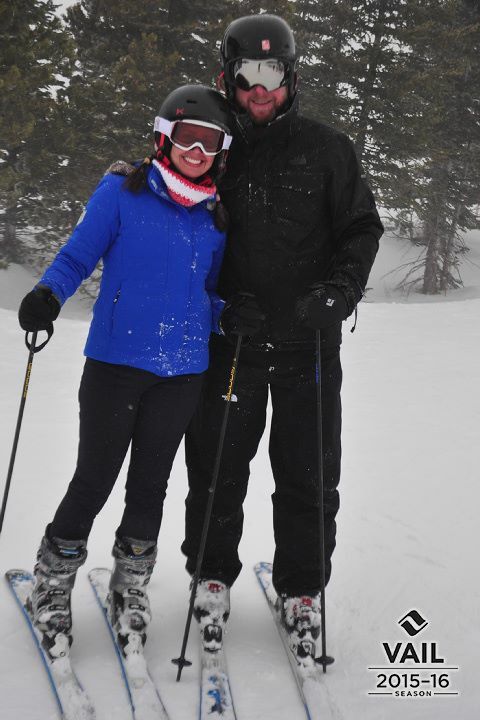 It had just snowed like crazy and it was perfect skiing…powder on top of powder! We wanted to hold on to the day and the season just a little longer. 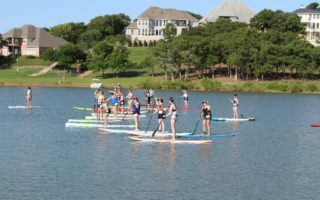 It’s amazing how so much fun can take your mind off your sore feet and bruised shins. 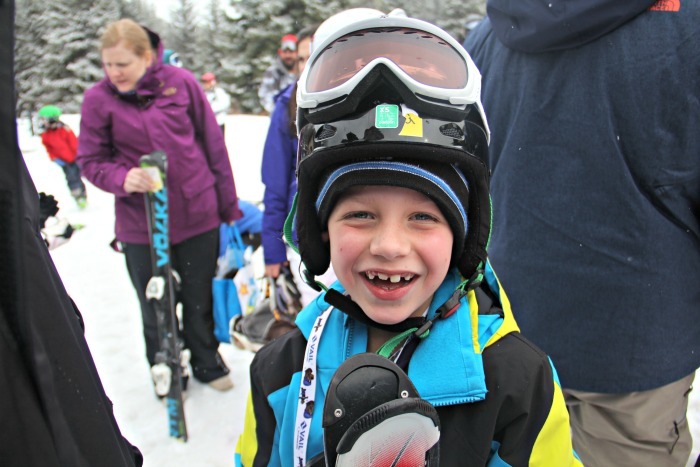 Thousands of groomed terrain means there’s something for everyone whether you’re a beginner, intermediate or expert skier. 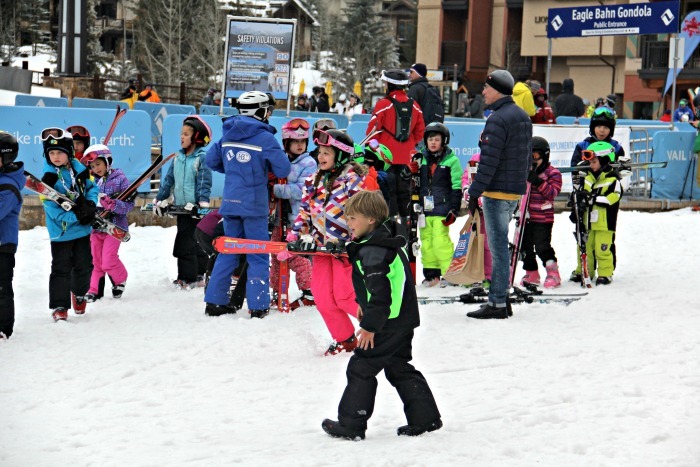 Vail has the best and largest ski schools on Earth to help you get your kids to be future expert skiers. It’s nice to see your kids make friends with kids from around the world. 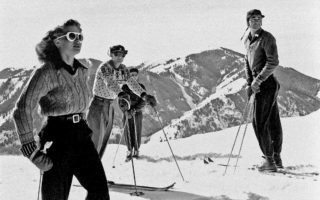 Vail is the giant of ski resorts because it offers 195 named trails and it’s world-famous for its “Back Bowls” that span around 3,000 acres. 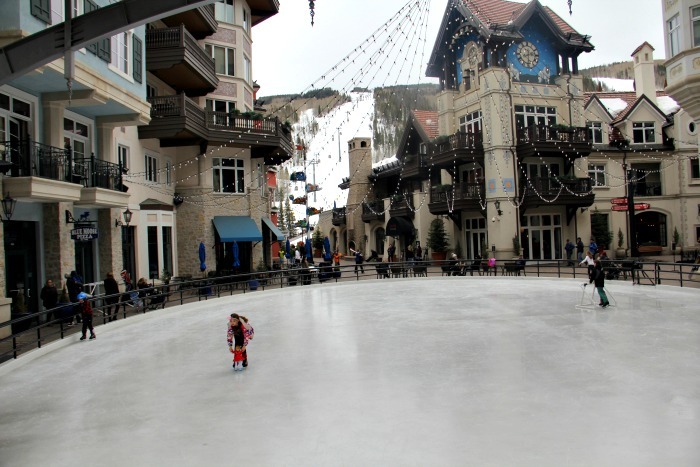 Ice skating is a fun activity for the whole family. My daughter even skated with her American Girl Doll, Maryellen. 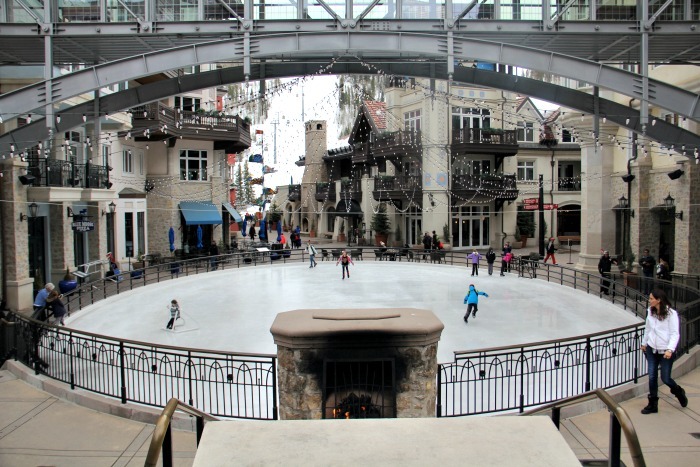 Vail has both indoor and outdoor rinks. The Arrabelle in Lionshead steals our hearts with the beautiful scenery, outdoor fireplaces and twinkle lights. 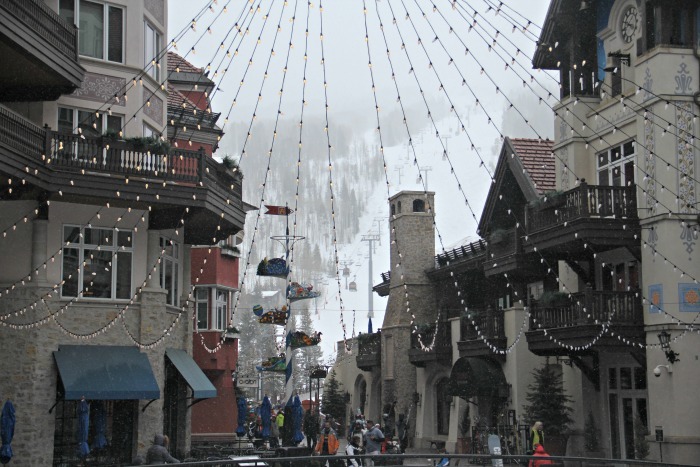 Vail is a foodie’s haven. These are our favorites: Up the Creek (a treasure by Gore Creek serving seasonal fresh farm to plate meals and signature cocktails), Campo De Fiori (authentic Italian cuisine with fresh and local ingredients), Mountain Standard (enjoy a rustic and relaxed atmosphere where the primal cooking method is over a wood fire), Swiss Chalet (traditional European cuisine in a casual mountain atmosphere). 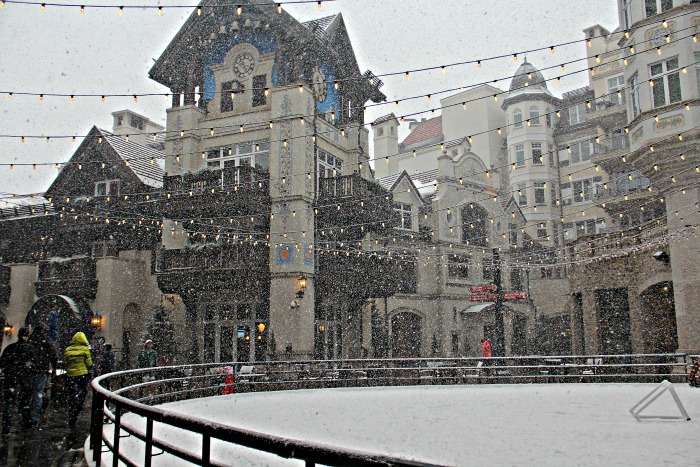 Vail is known for its relaxing spas. I think it’s nice to start out the vacation with a visit to the spa. After a plane ride and unpacking a massage makes you think, Yeessss! The vacation has just begun! The Spa at the Arrabelle (voted #19 of the top 270 spas in the world) was the perfect way to relax into the vacation. There’s more to Vail than winter…try hiking and mountain biking during the non-skiing months. Use the staff like you would for ski school and hire a tour guide to take you around so you don’t need the trail map. You can rent a bike and ride downhill. The bonus is that there’s a gondola bike haul. 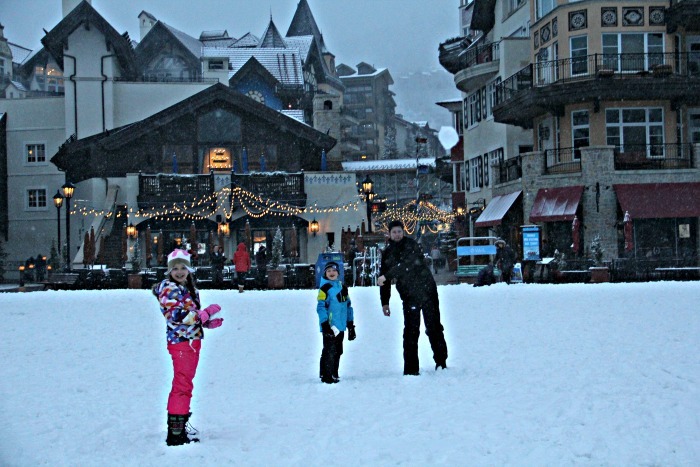 Vail is known around the world as one of the most popular destinations for skiing, snowboarding, mountain biking, fine dining, hot air balloons, spas and more. 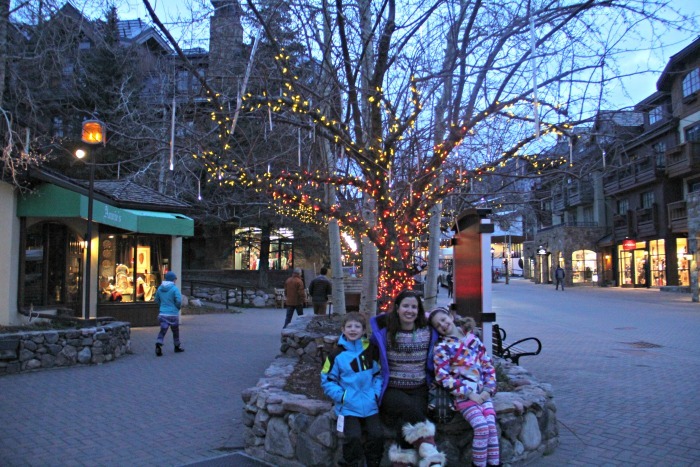 The relaxing vibe and town of world-class athletes makes Vail the perfect place to vacation. It’s the favorite place for serious athletes, foodies, and spa junkies. 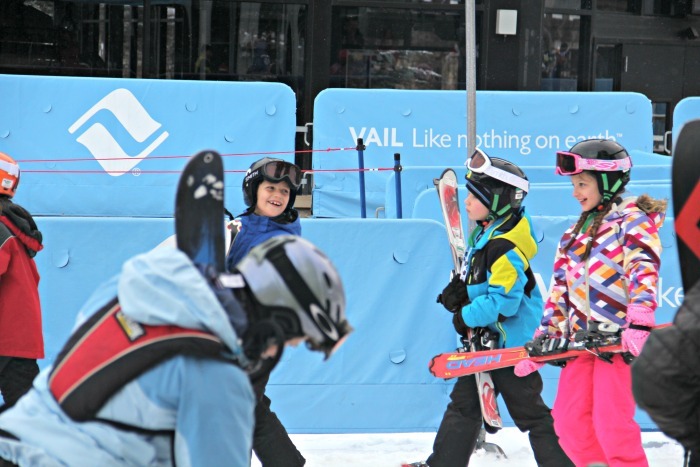 Experienced skiers and outdoor enthusiasts will agree that Vail is the best and most varied resort. No matter the season, it’s like nothing on Earth! One of the greatest secrets to a sold out show is good casting. 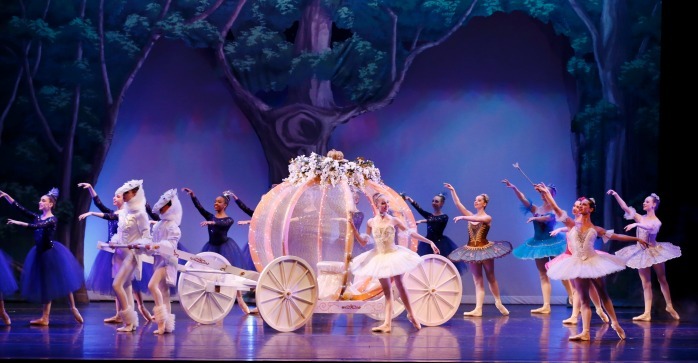 For those in Lewisville who saw one of the three sold out shows at the MCL Grande from LakeCities Ballet Theatre’s “Cinderella,” it was clear that artistic director, Kelly Lannin, has the secret in the bag…or the pumpkin carriage! We all know that Cinderella is a heartwarming romantic story…Did you know that it came out of Russia after the war ended? Originally intended for the Kirov, it was first presented by the Bolshoi right after World War II. Stalin celebrated with Cinderella at the Bolshoi in 1945 with the dramatic music by Sergei Prokofiev. Cinderella was a fable representing the victory of a wholesome Cinderella (the USSR) over her evil stepmother. Over seventy years later, Cinderella is still timeless…It’s a tale of class distinctions erased by the goodness and self-sacrifice of Cinderella. It makes sense that this ballet was developed post-war with its lush grandeur and poignant score. 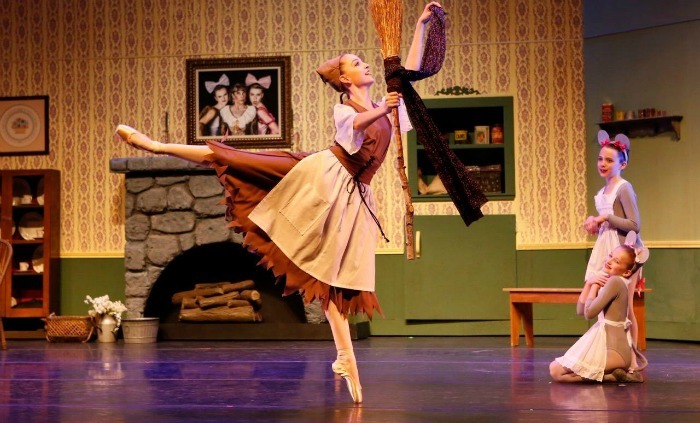 LBT’s porcelain Cinderella (Madeline Hanly) showed grace and quiet strength…just how Prokofiev probably imagined. She was a delicate heroine who took her mistreatment frustrations up into the air with fine flourishes of Italian pas de chats. Cinderella (Hanly) and her prince (Ruben Gerding) began their happily ever after by testing their balance, displaying exquisite technique as they rotated, spinning effortlessly in their complex choreography. Their controlled smooth turns in their classical pas de deux of the ballroom were emotionally powerful. Hanly’s expressive port de bras seeming to lift her higher…as luxuriant and flowing as creamy satin. 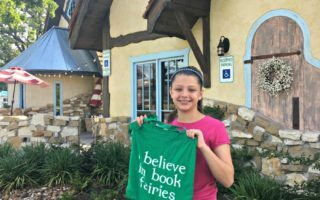 The Fairy Godmother (Michelle Lawyer) of sweetness and good will waved her magic wand as she spun effortless turns, her steps knitted the story together. The Fairy Godmother sends Cinderella off to the castle surrounded by the beautiful waltz of the Midnight Stars (the most beautiful costume). 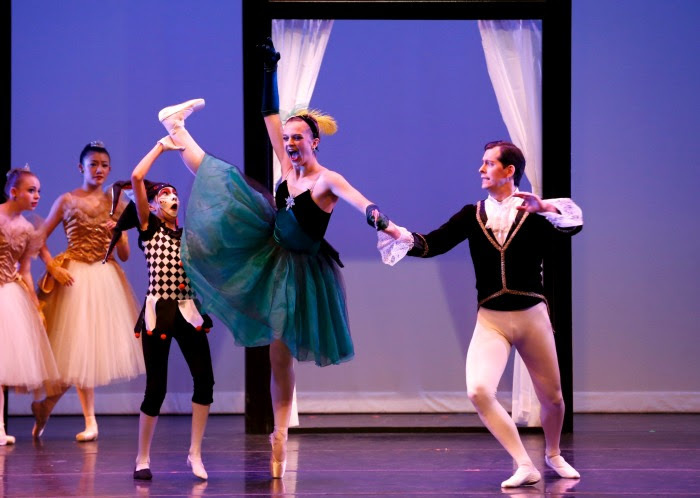 The ballet also provided sheer entertainment…the hilarious shenanigans of the stepsisters (Carley Denton and Mikaela Seale) and their high society aspirations as they cavorted in the ballroom were downright slapstick. 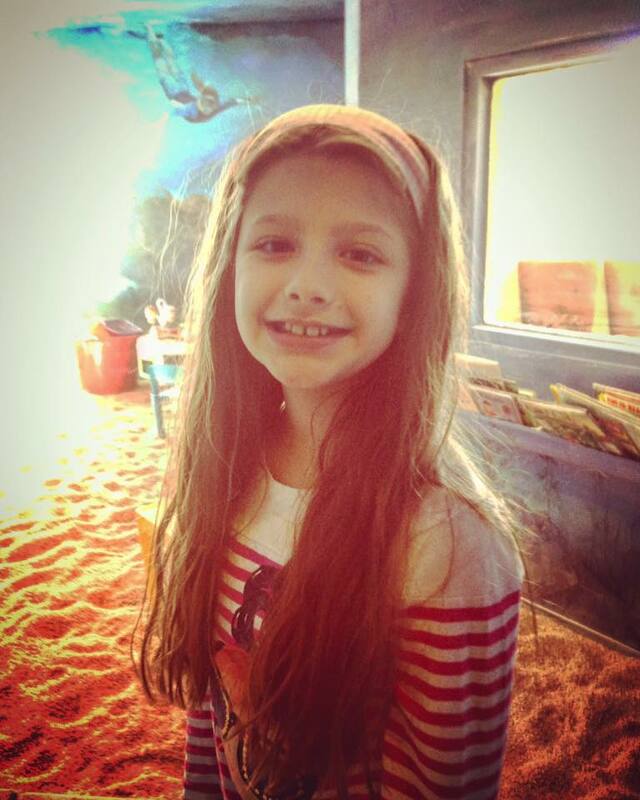 It is always a delight to watch Denton dance…Broadway is calling her name. Listening to the sound of roaring giggles, the evil stepsisters were very much to the liking of the young audience. The comic characters wouldn’t have been as funny without their supporting cast of the dapper dance master (Shannon Beacham), Cinderella’s Father (Chuck Denton), and the selfish Evil Stepmother (Denise Clarkston). Lannin kept in mind that a ballet production of Cinderella would have great numbers of young children in the production AND in audience so she squeezed in as much fun for Cinderella as she could before midnight…condensing the ballet and Prokofiev’s three-act score to two acts and just under two hours without sacrificing ANY of the fantasy. 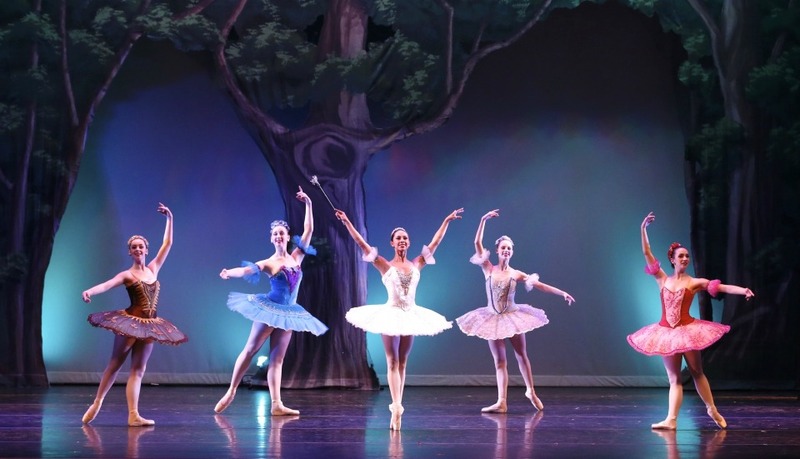 The complex patterning for the four soloist fairies (Kelsey Rhinehelder, Faith Jones, Julia Tiller and Chloe Davis), wove swiftly through the woodland forest victoriously spinning their pique turns together. It was as if the Fairy Godmother had them under her spell to dance in perfect accord blending naturally and seamlessly with the music. 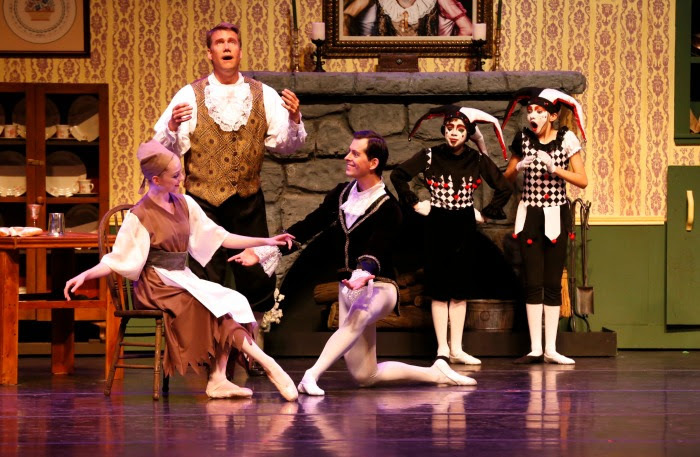 It was a first-rate fairy cast with the Autumn Fairy (Tiller) as the most eye-catching…showing fine musical timing and lovely epaulement all while effortlessly dancing a dynamic solo. 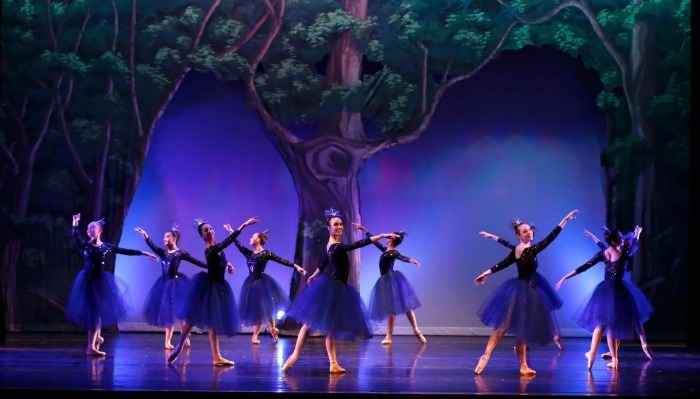 In short, LBT’s Cinderella, pleased grownups and children alike…leaving them wanting more. Lannin’s use of the younger children in her pre-professional program was brilliant. 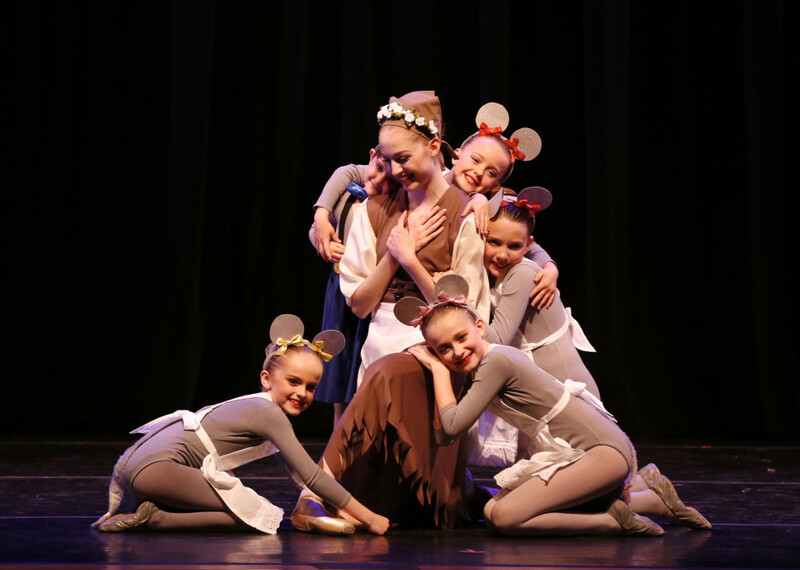 There were many roles for children…a young Cinderella, Mice, Court Jesters, Fairy Attendants, Dragonflies, Woodland Sprites and Time Keepers. It was sweet to see the expressions of proud parents in the audience…I was one of them! Congratulations LBT on ending the season on such a magical note! Children are the best observers. It was such a joy to come to school while the traveling art exhibit was on display and hear the conversations that children were having about Klimt and Seurat. I heard one of my students say…”Klimt was one of the greatest artists because he used gold swirly whirlies in his paintings.” It was fun to see my first graders be inspired by Seurat and create a painting using dots (pointillism) just like Seurat. 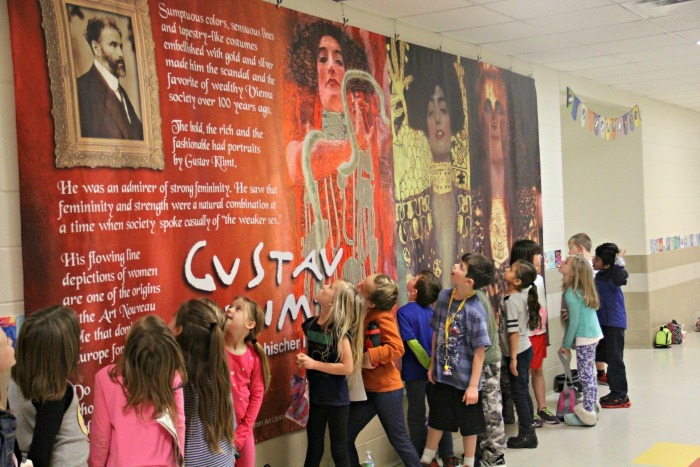 For one week, the school was covered in the happy wallpaper of Klimt and Seurat. Children could not walk by the banners without staring in awe at these incredible masterpieces. 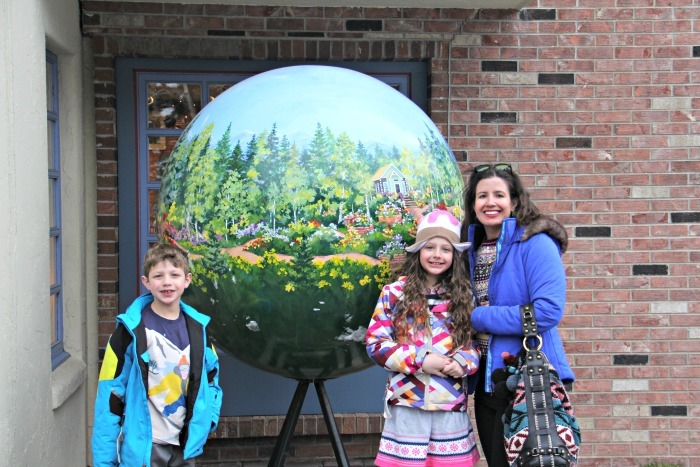 Having these beautiful pieces of art at Hilltop made for a powerful learning environment…it gave children the chance to explore, observe and experience art that we can’t just fly off to Paris to see. When you go to a museum, you have the power to choose what to look at…the children now have the pictures stored in your head. The memories created are filed for future reference. 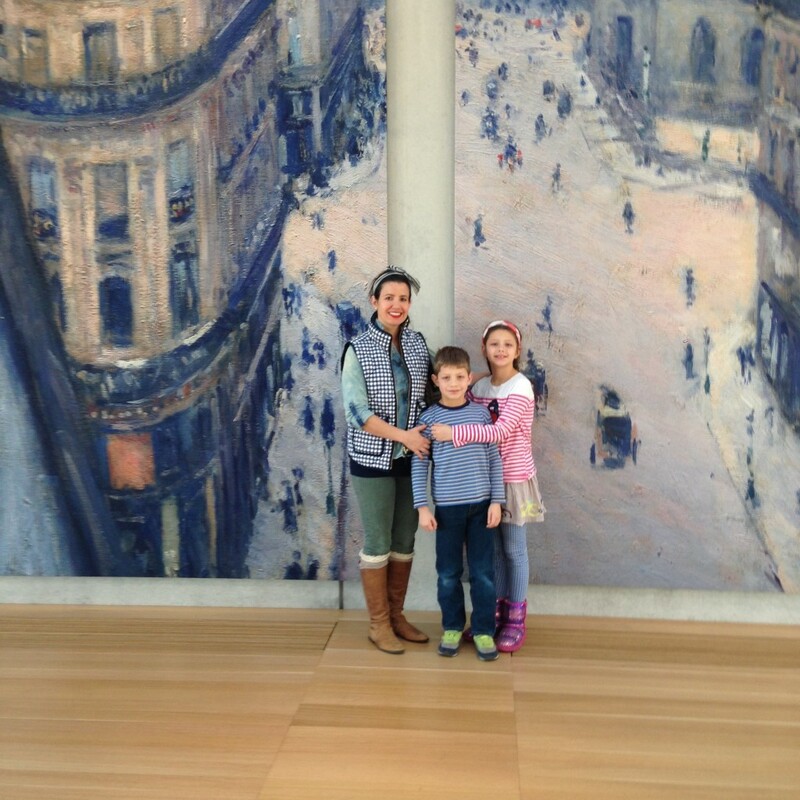 It was a pleasure to be a docent for our school and to watch the children gain an appreciation for Klimt and Seurat. Gustav Klimt was one of seven children. Klimt’s father was a gold engraver…around all that gold Klimt was very poor for most of his childhood. 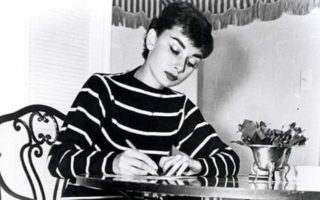 It was a difficult time to get work and he was very lucky to be awarded a scholarship to the Vienna School of the Arts. He loved art, life and his cat. Klimt’s style of swirling flowing lines and patterns was called “Art Nouveau” or “New Art.” Klimt lived a simple life. 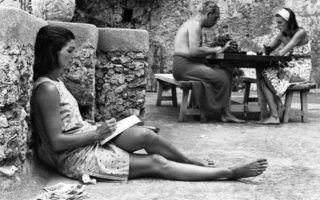 He wore a robe and sandals while he painted all day, every day…it paid off because some of his paintings sold for more than $135 million dollars. Gustav painted highly ornamental figures that appear to float in a dream like space. Exploring Klimt, gives us the opportunity to look at shapes with fresh eyes. Questions to ask children: When would you have guessed these were painted? What shapes can you see? Why does Klimt like gold so much? Why does he like cats? Think about how Seurat and Klimt grew up…one was poor, one rich. Was money important? Did they both work hard and keep trying? Look carefully at my pictures and try and see in them what I am and what I want to do. Craving more? 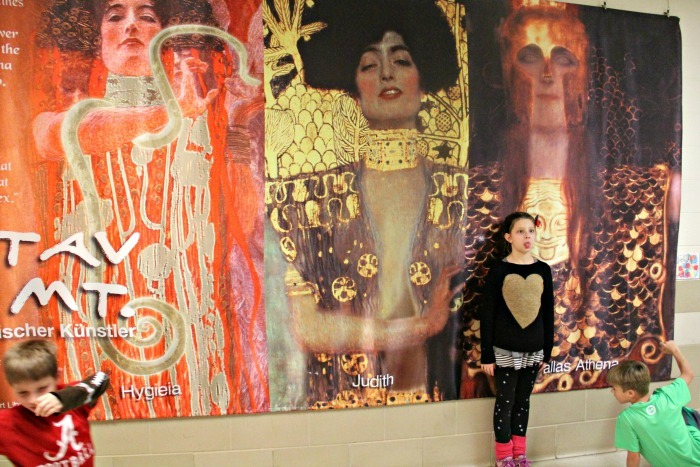 Here’s a little video that I showed my class…Who is Gustav Klimt? Seurat developed a technique called “pointillism” using tiny dots of colors, which become blended in the viewer’s eye. 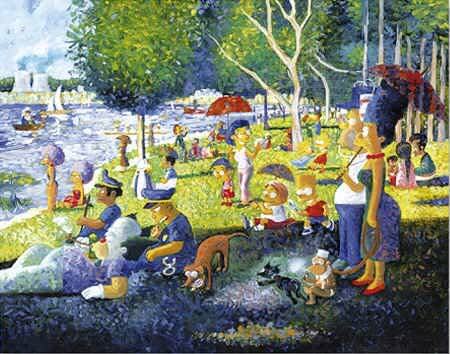 If you have the chance to see it, look at it close up, then take a few steps back and see Seurat’s vision. Seurat never gave up…even when his art was rejected in Paris. He decided to form an independent art society as he developed his pointillism technique that later took off. This new method of painting used dots instead of brush strokes to create the picture was all the rage in Paris. 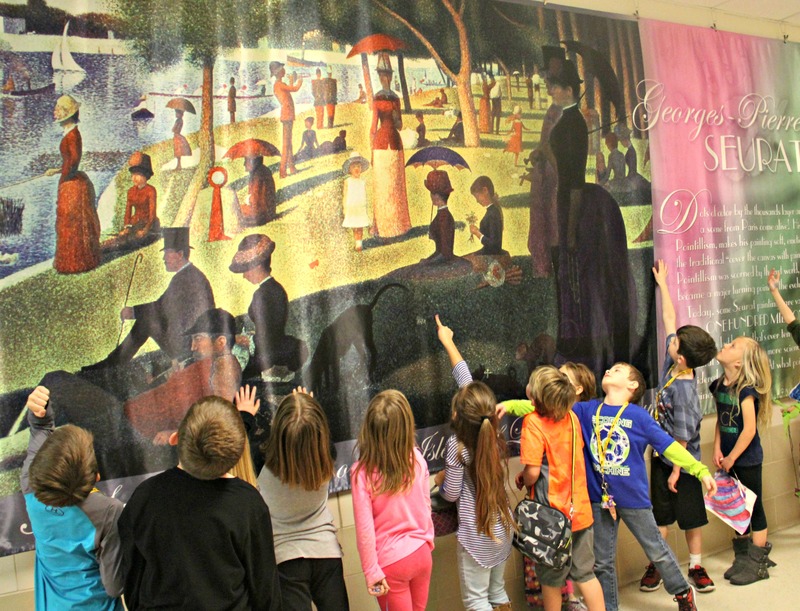 Georges Seurat spent two years working on the painting “A Sunday Afternoon on the Island of La Grande Jatte.” (French for big river)…it was as bigger than a mini van and was only twenty-six when he completed it. This same painting was on loan in 1958 at the Museum of Modern Art in New York City when a fire broke out. The fire damaged some paintings, but Seurat’s beloved work was whisked away to safety through an elevator evacuation plan. Unlike Klimt, Georges Seurat was from a very wealthy family in Paris during a time when money was hard to come by. 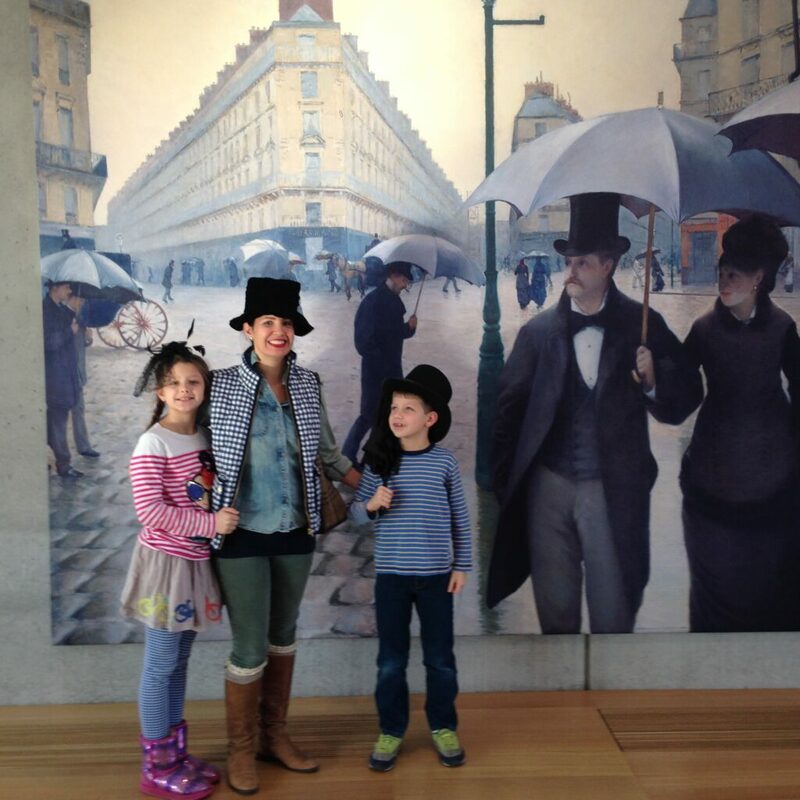 Seurat worked with mostly crayons on paper…just like an everyday kid!! 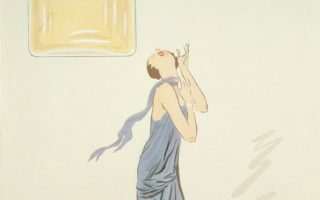 His work has been described as the most beautiful painter’s drawings in existence. Do you agree? 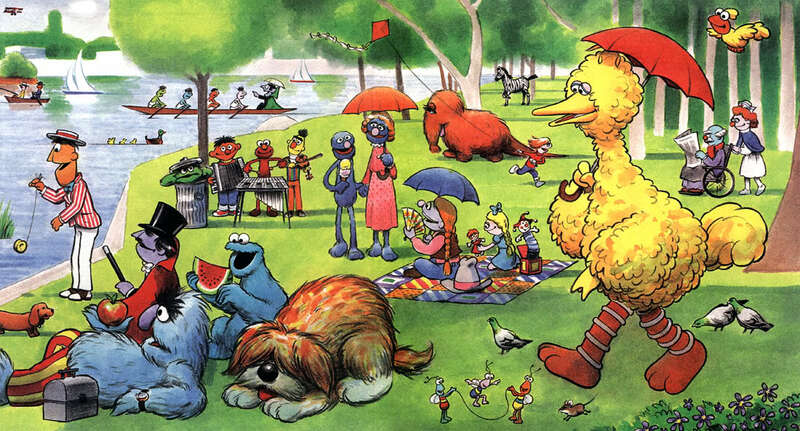 Under a blazing mid-afternoon summer sky, we see the Seine (that’s the river you see in the painting) flooded with sunshine…people are strolling, others are sitting or stretched out lazily on the bluish grass. 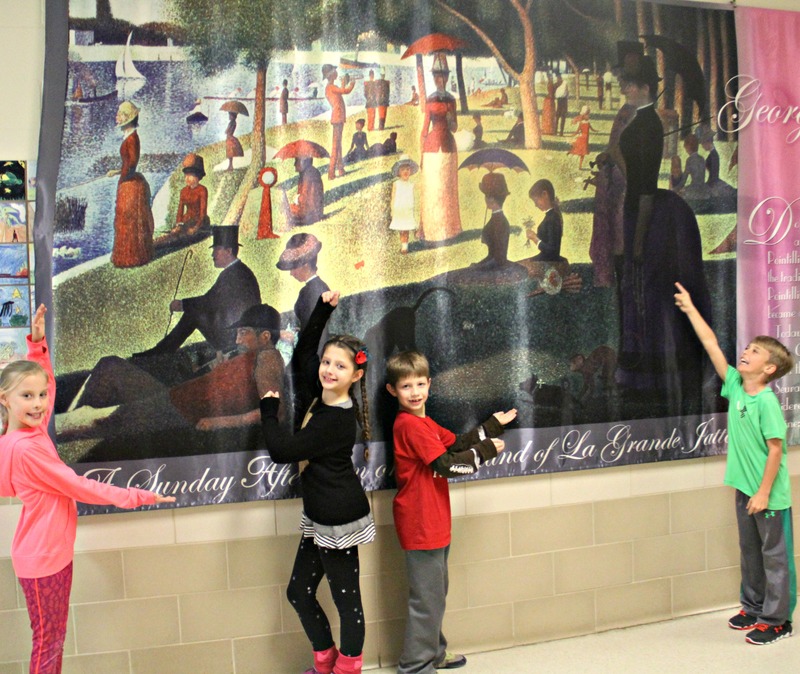 Here’s a video about Seurat that children will enjoy and this video is “artrageous” too! Seventeen, Sassy and YM were the beginning to my love affair with magazines when I was a young girl. One of my greatest pleasures is reading magazines, so I instantly fell in love with Texture. Big publishers like Conde Nast, Hearst Magazines, Time Inc. got together to make this fabulous app that gives you unlimited access to more than 160 different magazines…Vogue, The New Yorker, Bon Appétit, Vanity Fair, Elle Decor, Real Simple…all on your ipad or phone. 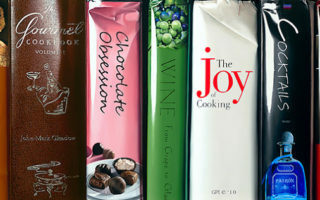 I like to binge-read them like I watch Netflix and get that same giddy feeling that I had finding Sassy in my mailbox. This is the holy grail of weather apps. Teachers can check Dark Sky down to the minute to see if we need to have inside recess. The app is able to predict weather for your exact location, not just your city, down to the minute. This is one of those apps that you will check everyday to bring out your inner meteorologist! 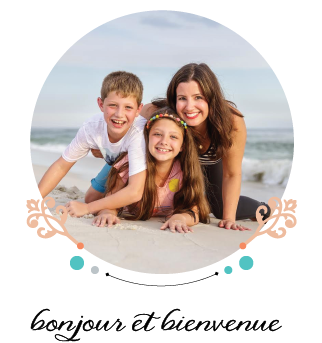 I started using Cozi when I was a new mom…almost ten years ago! 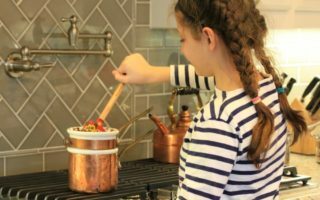 It’s perfect for busy families and moms who organize on the go. The nicest feature is being able to share with the whole family so everyone knows when and where the basketball game/school program/dance performance will be right from their phone. 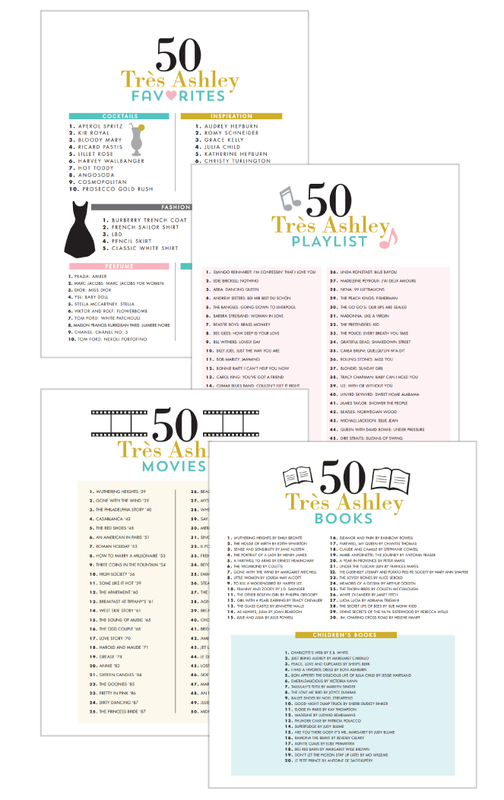 It helps manage my shopping list, appointments and even has a family journal. Square Cash: There used to be a lot of back and forth when splitting the bill with friends. This is great for your work friends when someone buys a baby gift or pays for the bill because it’s easy to pay someone back in seconds…just enter the amount and press send. Splitting a bar tab with friends will never be a pain again, especially when no one thought to bring cash with them. Cash is an app by Square that instantly transfers money between friends, for free, even between different banks. 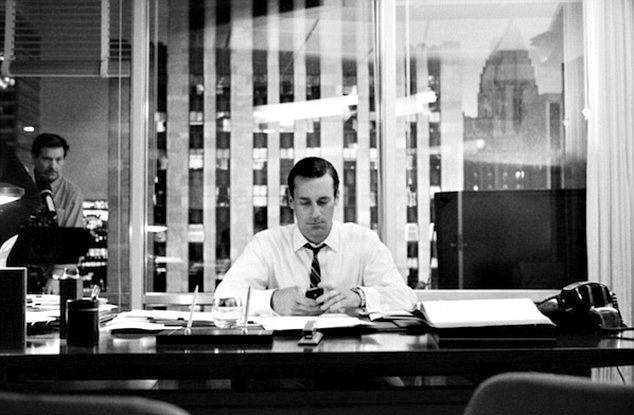 I imagine Don Draper would have appreciated this app in the 60’s. This is stargazing fun for all ages. I use this app to teach first graders about the stars. My family loves using it when we roast s’mores and stargaze together. Whether you’re a big driver or just going on a long road trip, you should check out Waze. The app knows how fast users are traveling on the road and redirects you around traffic mid-trip, ultimately shortening your commute. Waze tracks more than just traffic; it also alerts you to construction, accidents, red-light cameras, and even police ahead on your route. Your old paper journal might feel great with your favorite pen, but it can’t compare to Day One. The beautifully designed app makes chronicling your life as easy to do as writing a tweet or Facebook post, and can even provide you writing prompts and reminders to keep your writing flowing. It syncs your private journal across the web via Dropbox or iCloud, and you can annotate each entry with tags, weather, location information, and even the music you’re listening to. This app is perfect for someone who likes to hop around from working out in a Pilates or yoga studio or finding a time that works for a massage/facial/manicure…I store all my favorite studios and salons so I can easily find a window of time that works for me to fit in some zen! When you see a Korean woman, chances are that you won’t be able to guess their age. 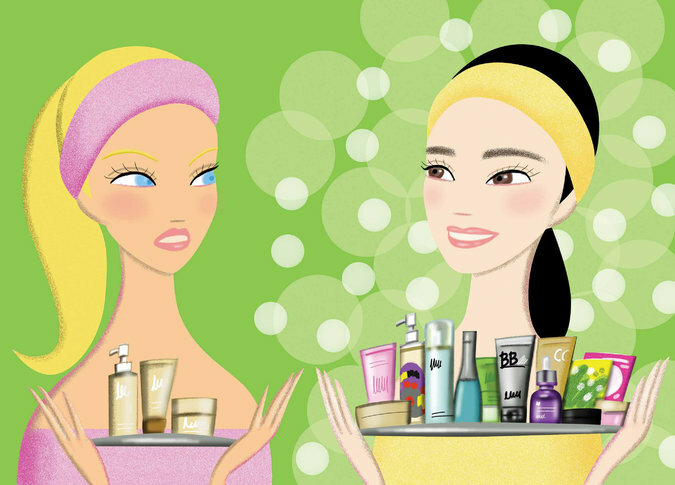 Korean woman are obsessed with beauty and know all the best beauty secrets and products. 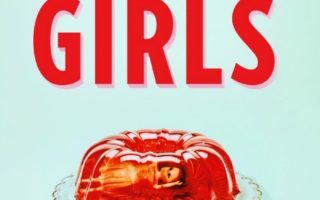 American women want in on K-beauty too! The best part is that we don’t have to fly across the world to get our hands on it. We love Korean beauty because it offers natural quality ingredients with happy designs that make you LOVE skincare routines. I went to an Asian grocery store with my friend Tomo once and had so much fun shopping the beauty aisle…the walls were filled with beauty products. She convinced me to try some sheet masks and I’ve been hooked ever since. Asian grocery stores, Birchbox, Sephora and Sokoglam are great places to shop if you’d like to sample some of the best Korean beauty products. 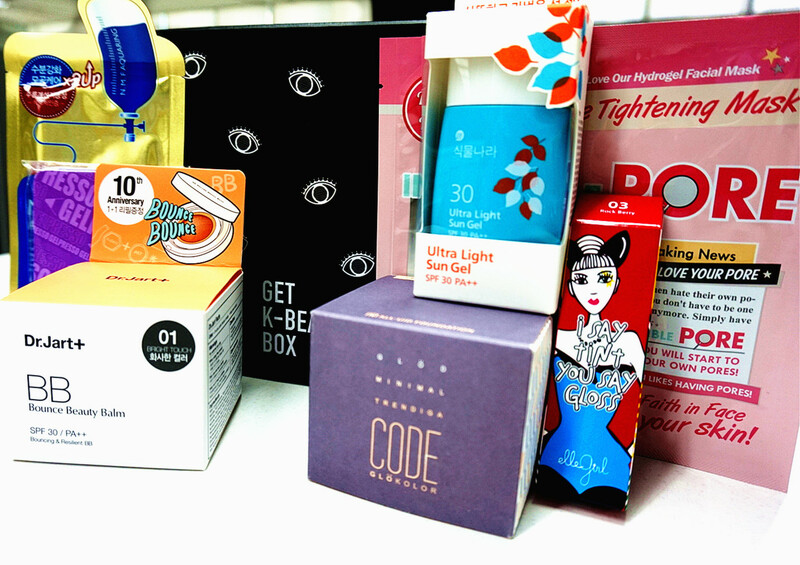 Korean beauty is known for their enormous quantity of sheet masks, BB creams, essences, and serums packaged to look fun and cheerful. 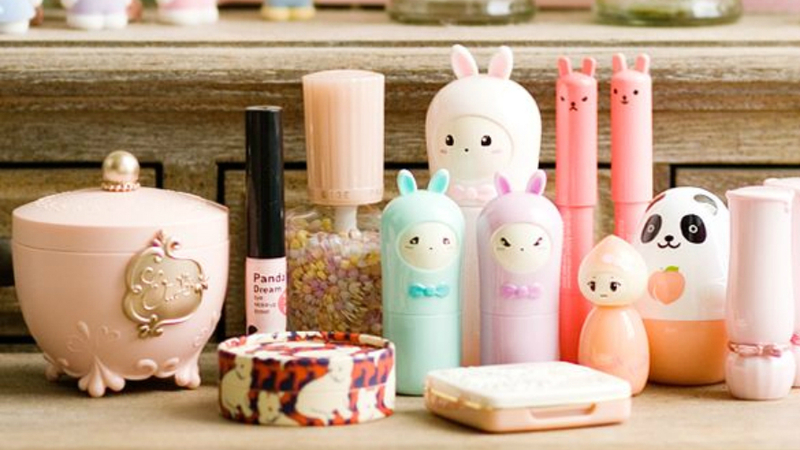 K-beauty products are all the rage and have been for quite some time. How ever long you spend applying your makeup, should be the same time amount cleaning it off. The Korean mentality is more comprehensive and detailed than the American approach to skincare. It all starts with a cleanser. Try Phytowash cleansing foam and massage in circles to brighten skin. Exfoliating with a natural scrub like the Skin Food Black Sugar Wash Off Mask really brings your skin back to its younger days. Concentrate on the t-zone or where you see blackheads. Toner can help remove pollutants along with any residue from your cleansers, while also restoring your skin’s pH balance. It soothes and preps your skin to absorb the next step…the essence. Place SU:M37 Water-full Skin Refresher/Toner onto a cotton pad and wipe your face and neck. The foundation of a Korean beauty routine starts with hydration…considered the most important step to Korean women. Waterest essence is a soothing moisturizer that purifies and hydrates skin with a blend of natural botanicals. Serums (Ampoules) are super-concentrated versions of essences, and are often referred to as serums and boosters. Dr. Jart+ Premium Time Returning Serum is an intensive anti-wrinkle serum that supports natural regeneration and restoration of damaged skin and wrinkles. Serums help to brighten skin, fading sunspots, and smoothing fine lines. My favorite product! Wrap the face for fifteen to twenty minutes to intensively deliver hydrating and anti-aging ingredients to the skin. Use one or two times a week for an instant and lasting glow. Manefit Bling Bling Hydro Gel Masks are soaked in ingredients like collagen, which they in turn soak into your skin. Korean sheet masks is luxuriously thick, cooling and soothing and gives my skin intense hydration. Gently tap Etude House Moistfull Collagen Eye Cream around the eye area for better absorption. Korean women are all about layering…generously massage the Etude House Moistfull Collagen Emulsion (the Korean translation for “moisturizer”) with gentle strokes so that it really sinks deep into your skin. BB cream stands for beauty balm. It’s packed with benefits and SPF. Use the BB cream in the morning for a dewy and luminous look. Try Dr. Jart+ Premium BB SPF 45 for the ultimate BB. What’s the order of application? A smart method for applying your Korean products is from the most lightweight to the heavier textures. This is because lightweight textures are designed to penetrate (usually essences or serums) versus heavier textures that create a barrier to keep skin hydrated (usually moisturizers or creams). So after cleansing, use your toner, then serum or essence, then moisturizer. Skiing is too much fun not to dress bright and happy. Maybe you just came back from the slopes and wish you were still there or your planning for an upcoming spring ski and checking things off your list. 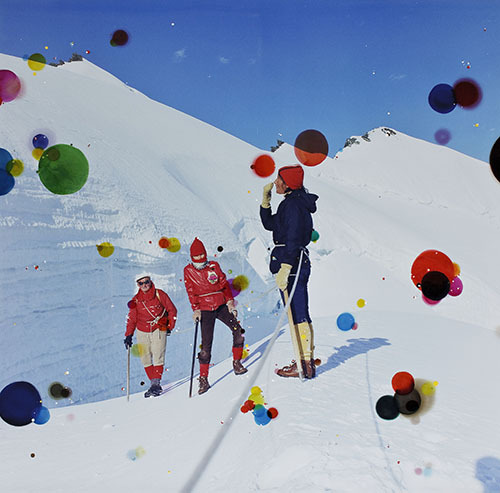 Either way, it’s fun to channel the skier the way Dutch artist, Sabastiaan Bremer does. 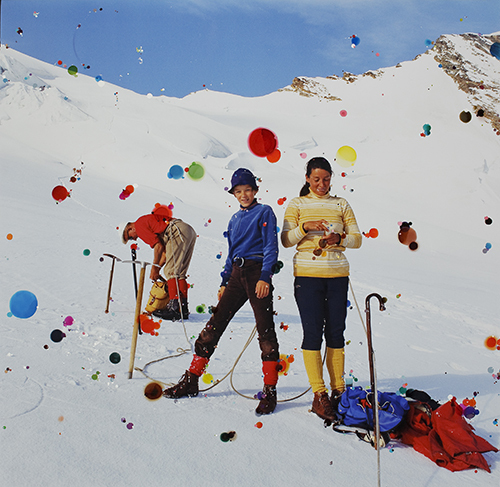 Whether you’re post-ski, during-ski or apres-ski…hit the slopes cheerfully and colorfully! 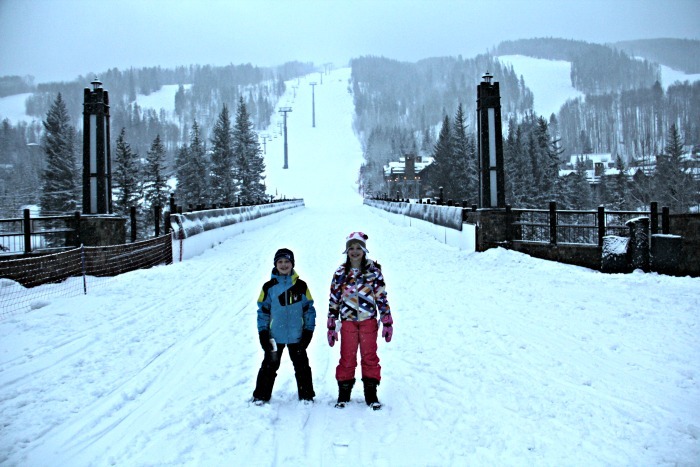 A warm, waterproof ski jacket and snow pants are a must. 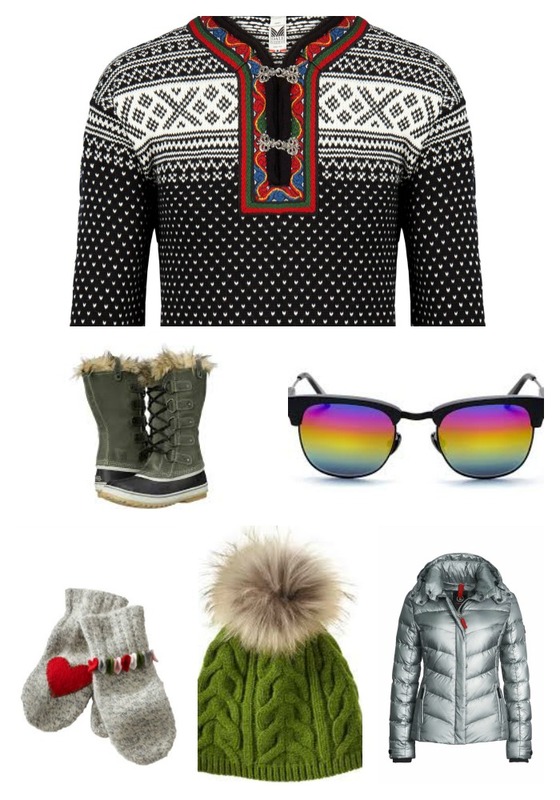 Find some colorful goggles to hit the slopes in. Layers are the key to staying warm and dry in the mountains. When you’re warm on the top of the mountain, you’ll be so glad. Your toes will thank you! Take a pair of jeans for the time you’ll spend off the slopes. Casual is key…everyone will want to be comfortable after skiing all day. Something cozy for both skiing and apres-ski. These Norwegian sweaters are timeless. For the apres-ski time in the hot tub. Bring a pair of comfortable winter boots for walking through snow. Give your hair a break on your ski vacation. Don’t get sunburned! Protect your skin from the rays that bounce off of the bright white snow. Bring waterproof gloves and mittens. These sweet mittens will warm your heart and hands. Bring a colorful hat…maybe with a fur pom! If it’s a nice day, sunglasses might be more comfortable than goggles. These sunglasses are my favorites! Bring your GoPro so you can capture your kids runs. Just in case…better comfortable than sorry. 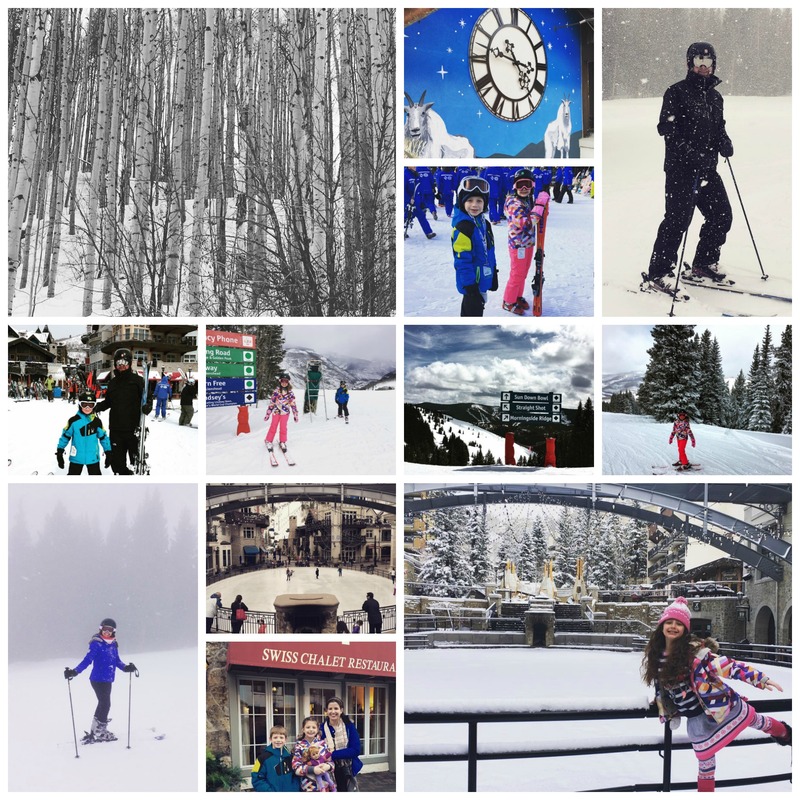 The mountains are calling, it’s time to ski…colorfully! 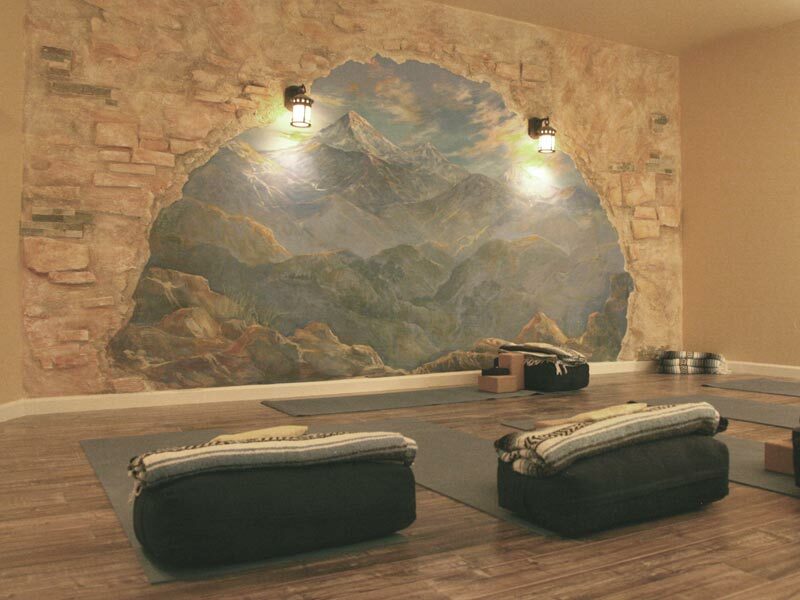 My friend and favorite yoga teacher, Sloane, introduced me to the Salt Cave of Southlake. Every time I’ve visited the salt cave, I leave feeling like I’ve been on vacation…totally relaxed. 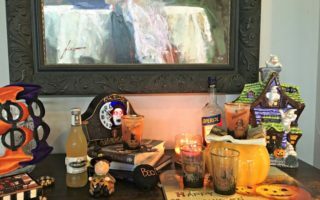 On Saturday, the yoga cave wasn’t ready yet (a couples massage was running a little over) and I was offered a mimosa before class…they really want you to relax! 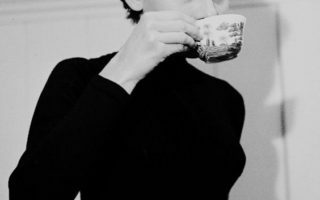 Since I’ve been going, I’ve noticed that I’m sleeping, breathing and feeling better than usual during these cold dry winter days. 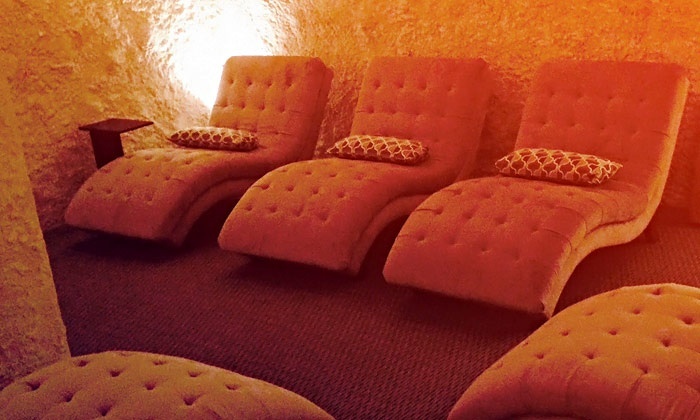 If you have the winter blues, a little salt cave time will make you feel happy and healthy. Breathing in salt vapor during yoga class helps to breathe deeper…purifying the lungs and clearing sinuses. The combination of yoga and salt therapy naturally relaxes the body and opens airways increasing oxygen intake. Salt therapy is an all-natural, holistic treatment recently made modern…inspired by Eastern European countries. Natural underground salt caves in Eastern Europe have been used to heal skin conditions, allergies, asthma and more. Salt has been used for its medicinal properties as far back as the Egyptians. Modern salt caves can be found today above ground…made to feel like a natural underground European salt cave. The air is enriched with salt dust by reducing pure Himalayan salt crystals that are ground into miniscule micro-crystals and blown into a relaxing spa environment. The benefits of salt therapy give a sense of well-being, reducing allergy issues, insomnia, boosting energy and alleviating depression and stress. It’s the same relaxing feeling after spending the day in the natural settings of mountains, waterfalls, or beaches…the negative ions emitted increase oxygen flow to the brain. 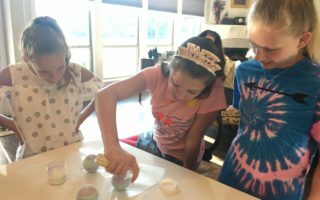 The Salt Cave of Southlake also has a “Kids Cave.” My kids encourage me to go take a yoga class there so that they can come and play in the salt…it’s magical to them! Children can play, read, draw while Mom and Dad take a yoga class. It’s healthy for the whole family. We couldn’t survive without salt…it does the body good! It’s a guarantee that when we are on a holiday, we will visit the museum. There are always a few paintings that make you want to step into the picture. When you go to the museum with children, it’s nice for them to be the leaders and see what paintings they would like to step inside of. Do you know how to say Caillebotte? The Kimbell created this fun video…see if you’re right! The Floor Scrapers demand the viewer’s attention…showing a dramatic perspective. Look at the splayed stripes of the wooden floor being so laboriously scraped. 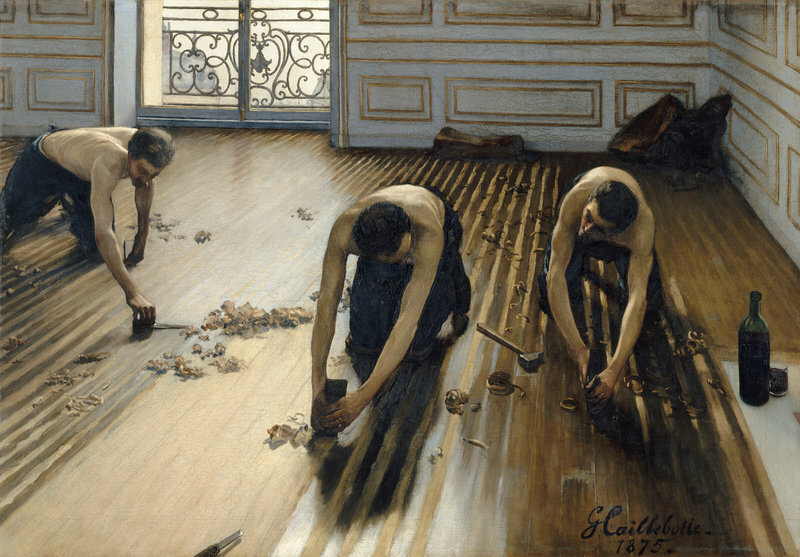 Caillebotte visually drops the bare-chested workers right in the viewer’s lap. It’s a painting of three laborers at work preparing his first studio. It was in what was then the relatively new neighborhood of the 8th arrondissement, where Caillebotte’s father had bought. It’s an odd subject matter…very different from his Impressionist friends, Monet and Renoir. His colleagues invited him to participate in their 1876 exhibition. He chose to submit The Floor Scrapers, and it was very popular…viewers either adored it or hated it, but everyone was talking about it! 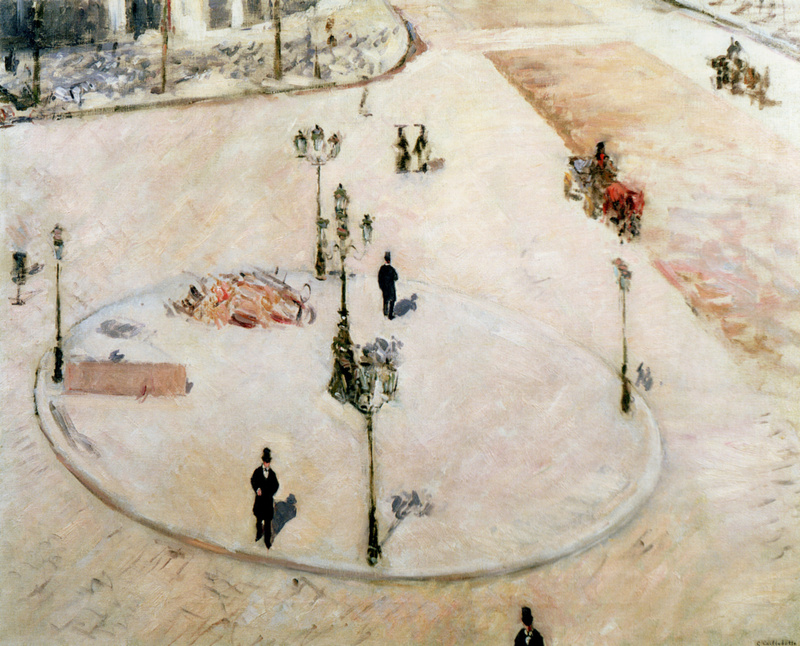 Caillebotte’s Traffic Island is an aerial painting that captures a sensible and controlled environment. This is a true impression of a Paris street with people in isolation going about their everyday routines and repetitions. It might remind the viewer of Degas’s Place de la Concorde (1875) the way that you see these people going about their day as if the viewer were “people watching”…they both have a serene quality. Views like this one could only be afforded by buildings that were ten stories or higher…Caillebotte was one of few painters who could afford the view. This is a painting about intersections…working class and upper class mixing together in modern Paris. The Parisian bourgeoisie cross in and out of the picture on this Right Bank drizzle-slicked street. Caillebotte steals the limelight from Claude Monet and Auguste Renoir during this time because he created this glowing light that the great Impressionists were trying to capture. Sadly, Caillebotte was never considered a true member of the inner circle of the Impressionists…lacking the easy brushstrokes and sunshine scenes with people interacting. 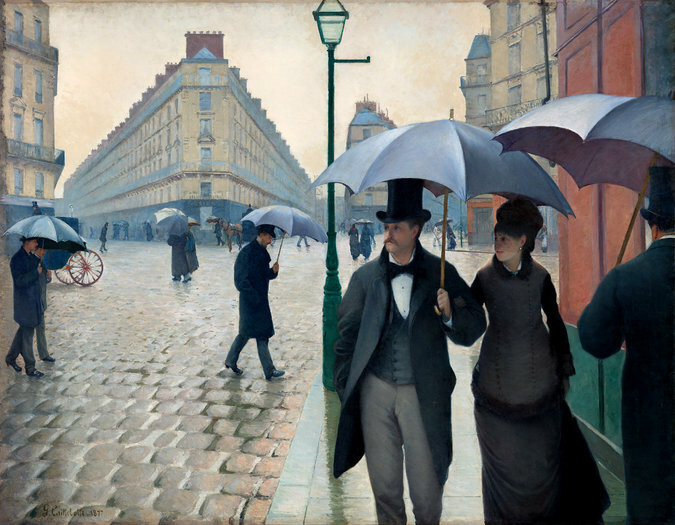 Instead, Caillebotte tells us two things we know about Paris (then and now)…the sky is usually grey and fashion is black. Gustave Caillebotte had a short career: born in 1848, he didn’t start painting until his late twenties, and he was dead from a stroke by the age of forty-five. Upon the death of his father (who had much success on the Paris real estate market) Gustave inherited a hearty fortune. The cash meant that Caillebotte could work at his own pace, selling almost nothing; the large majority of his art still belongs to his successors. He never needed to work for a living, and never married or had a family. He painted current, in the moment surroundings…gardens, river boating, and his father’s country house. This is why he is one of the most modern of the Impressionists. All three paintings are remarkable for plunging perspectives for children and a sense of contiguity. Step inside Gustave Caillebotte: The Painter’s Eye…it’s an air of modernité.